Low Profile Screw Mounts | Cal Fasteners, Inc.
Cal Fasteners stocks low profile screw mounts that allow bundled wires or cables to be affixed in closer proximity to the mounting surface. Their low profile design makes them ideal for confined spaces, control panels, or anywhere space is limited. 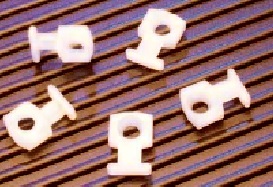 To achieve an extremely low profile in your cable or wire mounting application, combine these screw mounts with low profile plastic zip ties. ROHS compliant. We also offer standard profile screw mounts. Request a quote on low profile screw mounts, or contact Cal Fasteners to learn more.